Celaena Sardothien has barely survived a year of slave labor in the salt mines of Endovier, so when the Crown Prince offers her a chance at freedom, she jumps at the opportunity. The King has devised a competition for the court’s entertainment, to choose a new royal assassin. 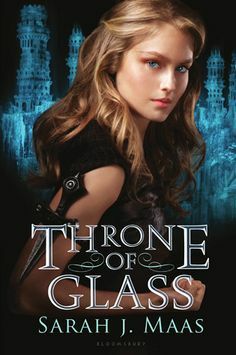 Celaena, as the Crown Prince’s champion, must train with the Captain of the Royal guard to fight in a competition to win the title and the promise of her freedom. But when the contestants start turning up dead, Celaena realizes there may be more at stake than she thought. This novel has earned a spot on my favorite novels of all time list. Everything about it is like a superbly matured Merlot. The gentle growth of the relationships between Celaena, Captain Westfall and Prince Dorian were expertly developed without being over-powering, the descriptions were beautiful without cliche, the plot was suspenseful and the action scenes were edge-of-your-seat. In one word: Perfection! I can’t wait to find out what Celaena gets up to next! ← Good guy or bad boy, what makes a great book boyfriend?